This Biennial is the result of a two year creative journey, in which, in turn, becomes a complete edition of the same, the Biennale in Porto Santo is an event that is presented by various interventions through actions and events that can happen anywhere, and at the end of each cycle all the works are reunited for another grand exhibit on the Island of Porto Santo. In this way the project is made known by mobilizing greater participation and promoting a strong interaction with different cultural and artistic expressions. This next exhibit takes place in Estremoz, Alentejo, another event promoting the Biennial of Porto Santo, which will take place next year in 2011 on the Island of Madeira. Present at the exhibit will be, Municipal Museum Professor Joaquim Vermelho, as well as the Mess Officials - Reynolds Palace and the House Sergeant of The 3rd Cavalry Regiment - Dragons of Olivença. 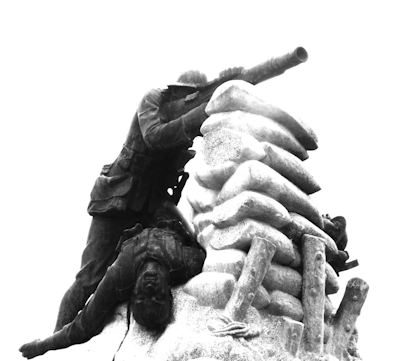 The multidisciplinary works are first and foremost a tribute to the Portuguese military, often an assurance in the protection of cultural identity and values, and which have many times defended with sacrifice. For the 2011 Biennial theme, "Homo Virtual", all the works brought to Estremoz seek to reflect upon the reality and the virtual world we live today.